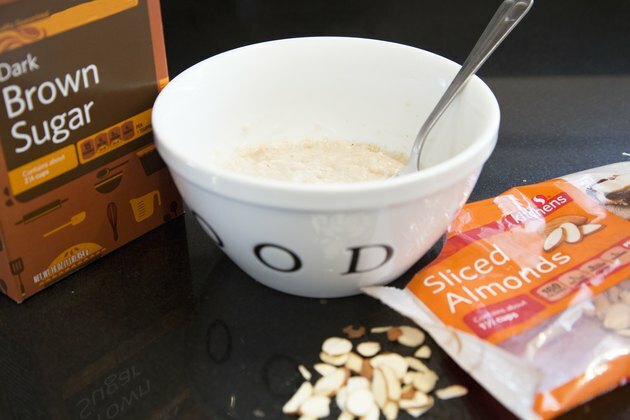 Start your day with a bowl of steel-cut oats and set yourself up for dietary success. 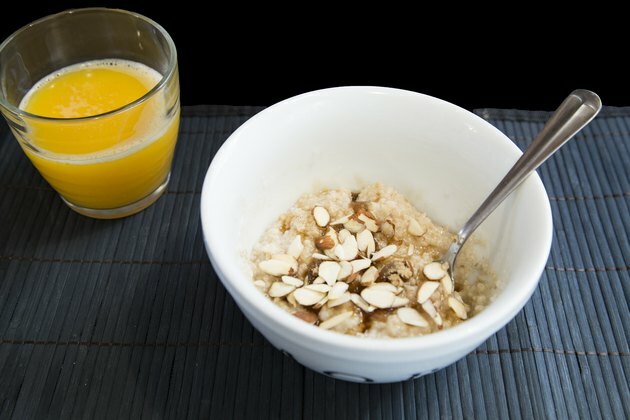 A 2013 issue of the "Journal of the American College of Nutrition" published a study showing that a breakfast of oatmeal, when compared to ready-to-eat breakfast cereal, was superior in squelching appetite and in keeping eaters satisfied. The steel-cut variety are less-processed than rolled versions, which means they maintain a chewy texture and nutty taste, but can take 20 minutes or more to cook on the stovetop. If you want to avoid the mess and save a little time, blast your oats in the microwave. 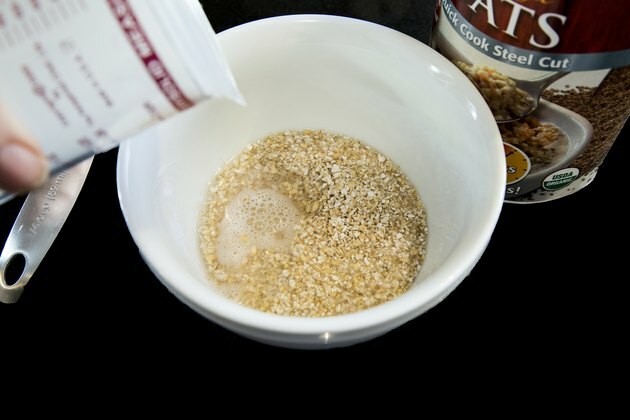 Measure out the steel cut oats and place into the bowl. Use a bowl with adequate capacity; generally allow 1 quart capacity for every quarter-cup of oats. Smaller bowls will not leave enough room for the oats to cook and they may boil over. Add 1 cup of water for every 1/4 cup of oats. Add a pinch of salt and cinnamon, if desired, for every serving. Stir. 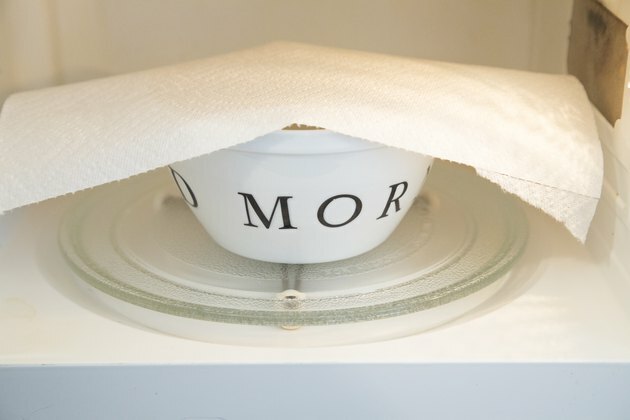 Cover with a paper towel or paper plate. Microwave on high for 2.5 minutes for each quarter-cup of oats. Uncover and stir. Set to microwave on high for another 2.5 minutes for each quarter-cup of oats. Add milk and desired toppings before serving. Microwave settings vary, so adjust your cooking times accordingly. If you plan on adding toppings, such as dried fruit and nuts, you can add during cooking or wait until after the oats have come out of the oven. Cooking dried fruits with the oats will soften them. Cooking more than 3/4 to 1 cup of dry steel cut oats in the microwave is impractical. 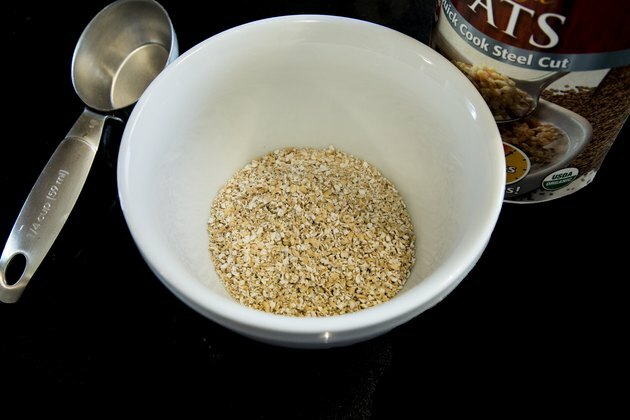 You'll have to use a very large bowl and increase the cooking time so much, that you might as well take the time to cook the oats on the stovetop.